Image courtesy of arztsamuiat FreeDigitalPhotos.net Known for being the no. 1 social networking site where individuals connect, unite and interact online, Facebook, certainly, has dramatically grown from an ordinary social networking site to an influential spot for businesses to endorse themselves through engagements and interactions with people. From the past few years of Facebook’s development, it has undeniably become more than just a gathering spot for friends and acquaintances. Facebook is a powerful and great marketing tool whether your business is a huge corporation or just a small one. It’s a savvy choice of place to keep prospects and clients updated, build up product identity, and expand your reach. In this article, we will be discussing about the different ways on how you can utilize Facebook as a tool in marketing your business. 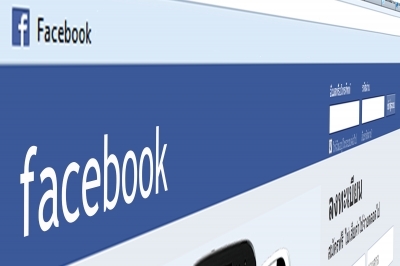 One of the free yet powerful marketing medium for businesses is the Facebook page. These pages will let your businesses build up an identity that your customers could have a look. You can do that by listing down product or item offerings, services and availabilities. Not just that. You could also share links, videos, images and creative posts to give your business a great sense of character and personality. Facebooks ads are Facebook’s way of advertising. It usually appears on the Facebook website’s side bar. Specifically, these ads are identified as Marketplace Ads. It shows the title or headline of the ad, a thumbnail of the business website, and a click-through URL to a Facebook app, a Facebook business page, or a website. Utilizing this feature in marketing your business is absolutely very beneficial because it will create more interactions and engagements to your prospects and probably convert them into your customers. Great ways to earn fans and awareness of your brand are hosting sweeptakes, promotions, and Facebook contests. When organizing a Facebook contest, beware that competitions cannot be implemented via Facebook itself which you cannot request for likes as their entries, make people write down answers or responses in the comments box and anything else like that. The industry needs to make use of a third-party or intermediary application for implementing their Facebook competitions, then redirect participants to the application from their Facebook page. Business page owners could pay for a flat rate to have their single post reach-out to a certain number of people/users therefore increasing the post’s impressions and reach. This type of Facebook ads shows the user’s interactions to catch attentions. The purpose of this Sponsored Stories is to make the person do the similar action as their Facebook friends. So when the user saw his two friends like a particular page, he’s a lot more inclined to give his attention. Implementing the above mentioned tactics could help you drive more people to your website and Facebook page making them your prospects on more become your customers.